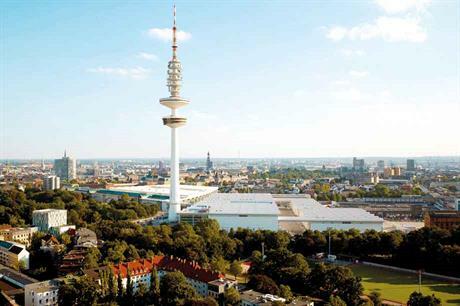 GERMANY: All eyes in the wind power business are turning towards Hamburg as preparation conclude for the 2018 exhibition and conference. We take a look at the topics up for discussion on each day, from auction design and repowering to digitalisation and hybrid projects. Unlike most other wind-energy exhibitions and conferences, the biennial event at Hamburg is a genuinely global occasion, its reach stretching well beyond the interests and demands of the German market. The organisers of WindEnergy Hamburg’s Global Wind Summit claim around 1,400 companies will be exhibiting products over the four days, while it expects over 35,000 visitors from around 100 countries, with support from up to 40 national wind-power associations, and 14 national delegations from countries that include China, India, Taiwan and Iran. Around 500 speakers will be contributing their expertise to the conference. They include: Fatih Birol, executive director of the International Energy Agency; Miguel Arias Cañete, European commissioner for climate action and energy; Ben Backwell, the new CEO of the Global Wind Energy Council (GWEC); and Giles Dickson, CEO of WindEurope. The leading lights of the world’s turbine OEMs, component suppliers, and developers will also be well represented. WindEurope will be hosting the conference, but the subjects to be discussed and debated will stretch far beyond the continent’s borders. The agenda includes topics that range from offshore wind in the US, Taiwan and Japan, to whether Saudia Arabia or Russia is likely to provide the "next big thing" for wind power growth, and the pitfalls to avoid when financing wind-energy projects in emerging countries. Windpower Monthly will, of course, be providing up-to-the-minute online news, analysis and interviews from the event in Hamburg. Look out for our coverage starting on the morning of the exhibition’s opening day on 25 September. A report by the International Renewable Energy Agency (Irena) in April highlighted the need to decarbonise of end-use sectors, especially heating and cooling, as well as transport. Not only are these energy-intensive end-use sectors, they are also notorious users of fossil fuels. The report cited figures from the International Energy Agency that showed heating and cooling accounted for more than 50% of total final energy consumption in 2015, while transport was responsible for 29%. More than 70% of heating and cooling’s energy consumption was met by fossil fuels, while 96% of the transport sector’s energy use came from petroleum. Irena suggested that wind could have a part to play in these sectors — for example, in renewable-based fuels or through direct use of wind energy. These solutions and other issues, such as the roles of transmission and distribution system operators in electrification and decarbonisation, will all be discussed on the first day of the Global Wind Summit. Addressing sector-coupling will need dedicated targets, technology mandates and financial incentives, Irena concluded. Above all, it will require political will and a clear strategy for how to decarbonise such energy-intensive sectors. A new alliance of companies, scientists and politicians aiming to create a blueprint of how to supply the Hamburg and Schleswig-Holstein region in northern Germany with 100% renewable energy by 2035 will address electrification and sector coupling on day one of the event. Members of the NEW 4.0 coalition (above) will present solutions for managing grid congestion, energy generation and demand-side response management, the electrification of heating and transport, and better integrating renewables in the energy network. 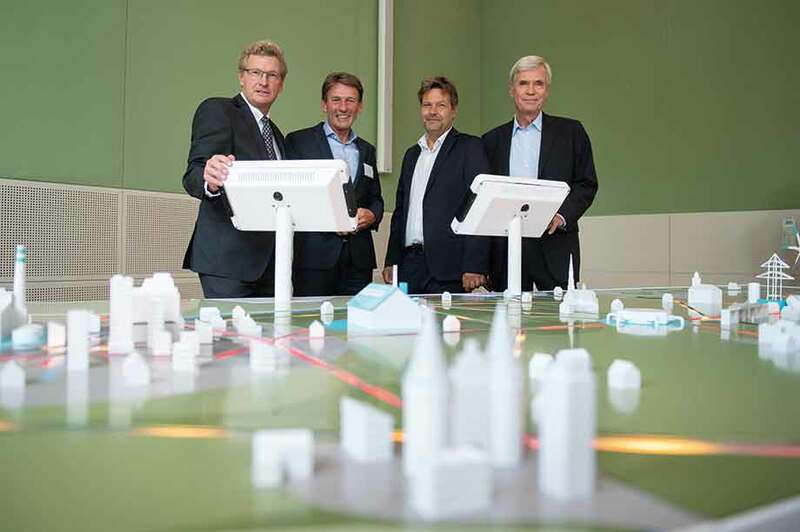 NEW stands for Norddeutsche EnergieWende, the northern German energy transition, and 4.0 for the fourth industrial revolution, which involves the digitalisation of industry and the use of intelligent networks in the energy transition. Always at the cutting edge of technology, the wind-power industry is increasingly contributing to system integration and researching and developing new ways to use digital technology to predict failures and improve performance. Digitally enhanced services for wind power could reduce operations and maintenance costs, as well as the levelised cost of energy, consultancy Totaro & Associates stated in a report in May. An increasingly digitalised world will affect how markets operate and how power is traded, including the potential to balance supply and demand. It will also change how companies develop business models and necessitate protection of data transferred between systems and applications. How to embrace the digital revolution and make the most of the wind will be debated on the second day. Another topic is where the wind-power industry is going in terms of its own technology. Topics for discussion will include developments in turbine components for increasingly larger offshore turbines, as well as the increasing digitalisation of wind farms. The impact and potential of digital technologies to balance supply and demand, and improve business cases can perhaps be mostly keenly observed in power trading. Digital technologies have the potential to make energy systems around the world more connected, intelligent, efficient and reliable. This trend is already visible in intraday power markets in Europe that trade variable renewable energy closer to real time. All this will be addressed in the session, Digitalisation in market operations and power trading. One of this panel’s objectives is to "discover the latest developments, strategies and business models of crypto currencies". Philipp Schmid, the founder of Power2Crypto — a startup with little web presence that appears to use excess wind power to complete blockchain transactions and accrue bitcoin value — is due to present on how to use curtailed power to generate revenues instead of paying subsidies. Moving away from markets supported by long-term tariff regimes to auction systems has had a dramatic, if uneven, impact on the global wind industry. The competitive environment has demanded levelised cost of energy (LCOE) be lowered in order for developers to compete against one another and against rival energy sources. It has produced stunning results, not least of all the "zero-subsidy" bids in Germany’s first offshore auction in May 2017. 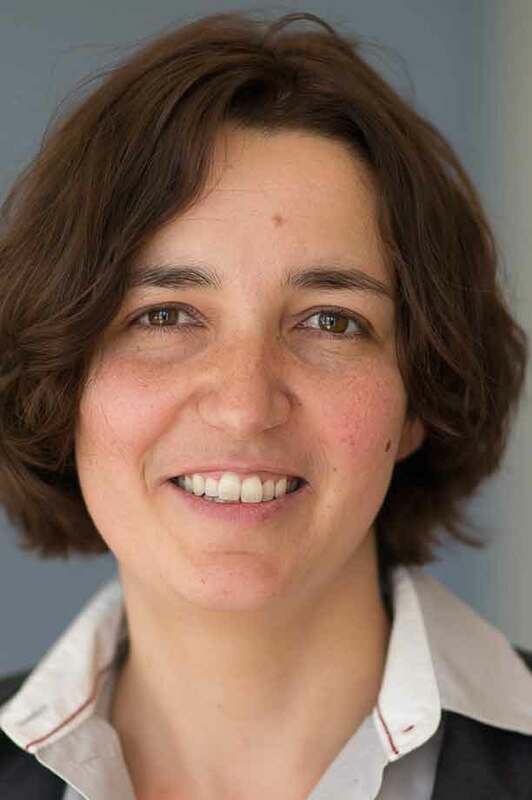 However, it has also created problems, such as more established developers being disadvantaged in Germany’s early tenders, seen to favour community projects through exemptions from rules, but since revised; and under-subscribed recent tenders in Germany, Greece, France, and India. Experts will look at how auctions can be designed to prevent or alleviate these issues on the third day of the conference. Topics will also include risk mitigation in a merchant environment, and ways to reduce costs through the use of data and turbine design. In the absence of feed-in tariffs, innovative methods of stabilising, sustaining or creating revenue streams — whether through corporate power purchase agreements or repowering and life extension — will also feature in day three’s panel sessions. Vattenfall has enjoyed repeated success with ever lower bids in offshore tenders across Europe. In March, the Swedish utility was awarded the licence to build the 700MW Hollandse Kust Zuid project in a Dutch offshore tender round in March, without subsidy. The company’s director of market development, Catrin Jung-Draschil (left) is among the speakers asking "what have we learned from previous auctions, and where do we go from here? ", in a panel discussion chaired by Bloomberg New Energy Finance’s head of wind research, David Hostert. Key objectives of the session include auction design parameters for Europe, the Middle East and Africa, analysing zero-subsidy bids and understanding the role of financers and investors in keeping bids competitive. The fourth and final day of WindEnergy Hamburg provides a glimpse of the industry’s future: the expansion of wind power into new, previously inaccessible, markets, and the emergence of new technologies such as floating and hybrid projects. Panels are devoted to emerging markets such as offshore in Poland, Taiwan, Japan and the US, as well as onshore potential in Saudi Arabia, Russia and various African countries. Elsewhere, day-four sessions will examine the necessary policies and access to financing to steer floating wind towards commercialisation. Amid all the promise of the future, it is worth remembering that wind power is an established technology, and, as a result, the first generations of turbines are approaching the end of their lifetime. The challenges and opportunities this presents, which vary from country to country, will also be debated. As wind power expands globally, its impact on the environment and perception by local communities will remain crucial. This, too,will be discussed on the conference’s final day. Combining wind with solar PV and storage can use transmission infrastructure and land more efficiently, reduce variability and stabilise the grid. Such hybrid systems are likely to play an ever-growing role in the energy system of the future. The US’s first hybrid site in 2017 was built around GE’s Wind Integrated Solar Energy (WISE) technology platform. 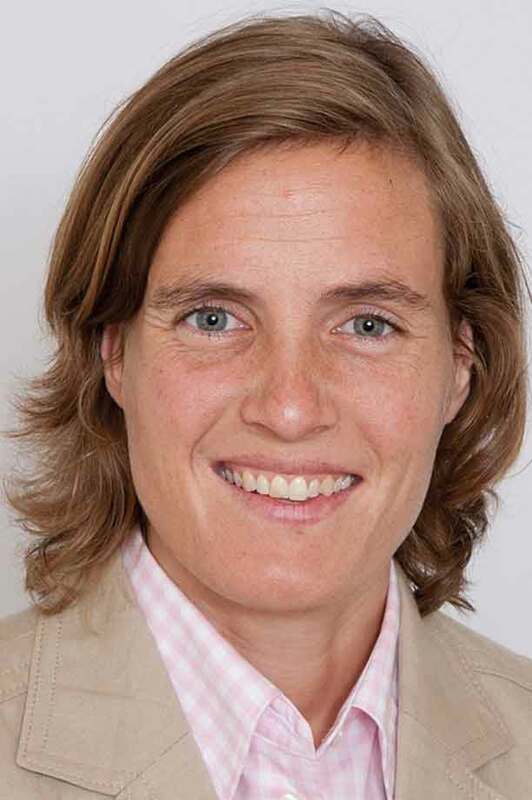 The company’s global sales leader for hybrid solutions, Amelie Wulff (right), will deliver a presentation on how wind and storage as an integrated renewable hybrid solution can reliably match load requirements. Delegates will learn more about the research and development in this promising area, the experience of coupling energy with storage as an alternative to diesel generator sets, and optimising hybrid systems.